The music industry is in a sad and sorry state of affairs. 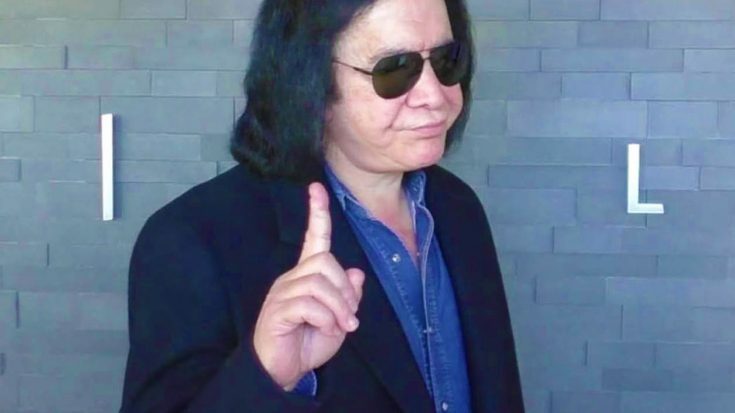 Each passing year makes it increasingly more difficult for bands to make a living doing what they love, a far cry from the music industry KISS bassist Gene Simmons remembers and with the advent of streaming services and pay what you can platforms, it’s only bound to get harder. Unless you’re Gene Simmons, that is, who in an interview with Doug Podell of Detroit’s 94.7 WCSX radio station blamed it all on the fact that “generations of fans have been trained — shamefully — not to pay for music” and deemed the industry dead for anybody but established artists. “The business is dead. Not for us — we can continue to tour, and The [Rolling] Stones can continue to play the songs everybody loves and so can Paul McCartney and stuff. But for a new band, it’s dead. You have to give away your music for free, because generations of fans have been trained — shamefully — not to pay for music. The old model that spawned the likes of Led Zeppelin, Pink Floyd, even KISS – sure, that’s dead and I don’t think we’ll see another like it. That doesn’t mean the entire industry is doomed as far as new bands are concerned; if anything, it’s an opportunity. An opportunity for bands creating honest, intelligent music they believe in to get creative in their pursuit of their dream, and in a world where they’ve got all manner of cool resources at their fingertips to do so – social media, guerilla marketing, you name it – they’ve got every reason in the world to get out there and make it happen. Plus, there’s the added bonus of proving Gene wrong.